At Healthy Home Inspections our customers are our top priority. Family First — We understand that family is the most important thing in your life and it is up to you to protect them. As our clients know, this is no time for beginners. Appliance Recall Check — Your family’s safety is our priority. We will process a report searching for recalls on all of your major appliances. 100 Day Warranty — A 100 day limited warranty is complimentary with all of our standard home inspections. This warranty helps defray the cost of unexpected immediate repairs. Buyer Protection Plan — If you fail to purchase the home Healthy Home Inspections inspects for any reason, we will inspect the next property you choose at a $50 discount. 200% Guarantee* — You will be fully satisfied with our performance at the end of the inspection, or we will refund your purchase and pay our competition to conduct a second inspection. We Answer the Phone — Sounds like a no-brainer, but many companies leave you talking to an answering machine or automated system. Avoid waiting and playing phone tag. Our office staff is available to answer phones until 7pm to get the answers you need quickly. Training — Inspectors are educated to answer your questions rather than defer to someone else, potentially delaying your contract. Our guys train for years, not weeks, and never stop learning. Comprehensive Reports — We give you the information needed to get the best deal, delivering a comprehensive inspection report compete with pictures. Click here to see a sample report. State-of-the-Art Technology — We have the latest technology to see more than what is visible with the naked eye, including infrared cameras and environmental hazard testing equipment. 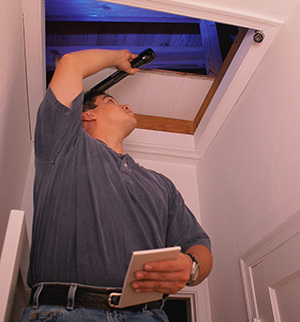 All-Inclusive Inspections — All your home inspection needs can be covered with one call! We perform termite inspections, radon tests, mold sampling, wet basement evaluations, roof certifications, and any other test you may need at the time of the inspection. Most importantly we provide a 200% Money Back Guarantee!!! If any *major system fails due to a defect that was present and visible at the time of inspection and was overlooked by a Healthy Home Inspections home inspector while performing an inspection as described in the National Association of Home Inspectors(NAHI) Standards of Practice, a full refund of the inspection fee will be given for *qualified repair costs after a deductible of $495.00 is met by the home owner. *Qualified repair costs are the lowest of three bids provided by licensed and insured contractors. Healthy Home Inspections reserves the right to include a contractor of its choice in the bidding process. This guarantee is offered for a full 90 days after the date of inspection.